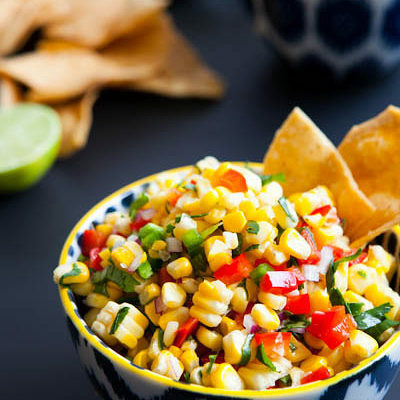 Preheat the grill to high heat. 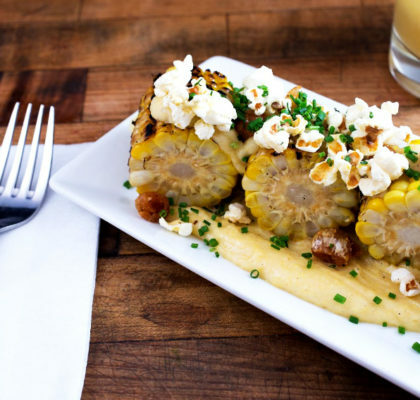 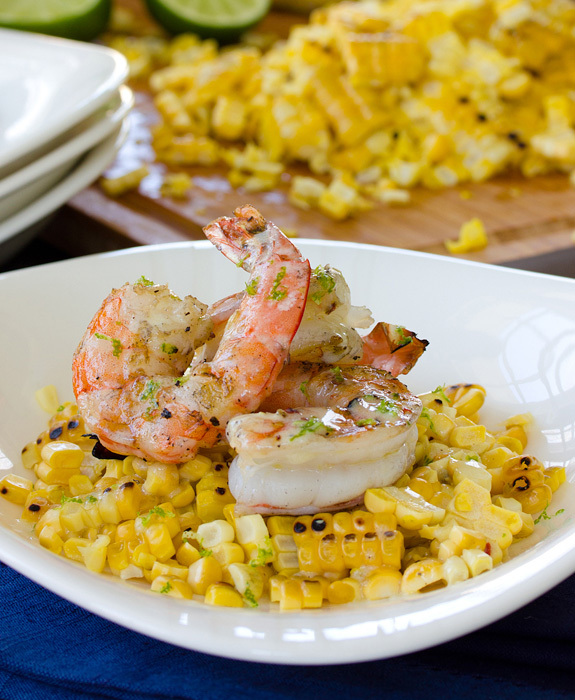 Remove the cornhusks and corn silk, and place the corn and the shrimp on a rimmed baking sheet. 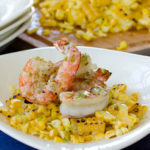 Fresh sweet corn and shrimp are a classic combination and this dish shows how the two ingredients bring out the sweetness in one another. 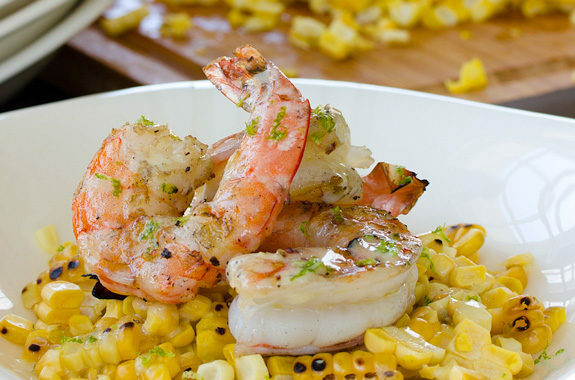 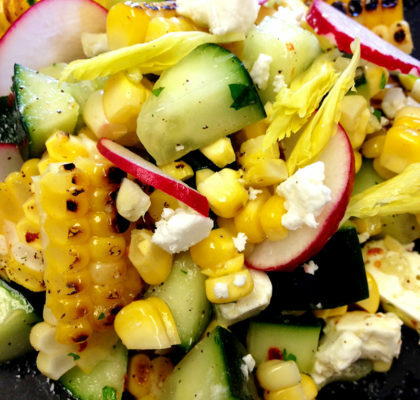 Topped with creamy lime vinaigrette, this makes for a healthy and delicious main course.